Is It Worth Storing This Stuff? It’s not easy to place a monetary value on sentimentality. 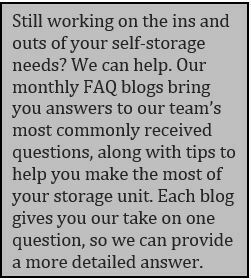 Whenever you’re considering long-term storage, it’s wise to ask yourself a few questions to determine if it’s worth it. Take the time to go through each of the items in question. Does it bring back significant memories? Does it make you happy? Can you (realistically) still use it? Don’t let your decisions to keep or purge items be influenced by guilt. But if something means a lot to you, there’s nothing wrong with investing in storage to keep it. If you do decide to purge some items, you always can hold a garage sale to make a few bucks, or donate your items to a nonprofit that will earn you a skinny tax write-off. Some experts recommend a compromise: Consider giving meaningful items to friends or family members you know will cherish them. Not only will you help your old college roommate by gifting her with that cool clock, but you might still get to enjoy it when you visit. Are You Protecting an Investment? You have invested in a collection that’s worth quite a bit of money. But you (a.) don’t have the space in your house or (b.) can’t trust your collection in the house with your 10-year-old golf protégé. A storage unit is definitely worth your while. Just remember that it’s going to take a chunk of your budget—compare the cost of the unit over time with the payback you expect when you cash in that investment. So, how do you calculate the “actual value” of your stuff? Get an official appraisal. 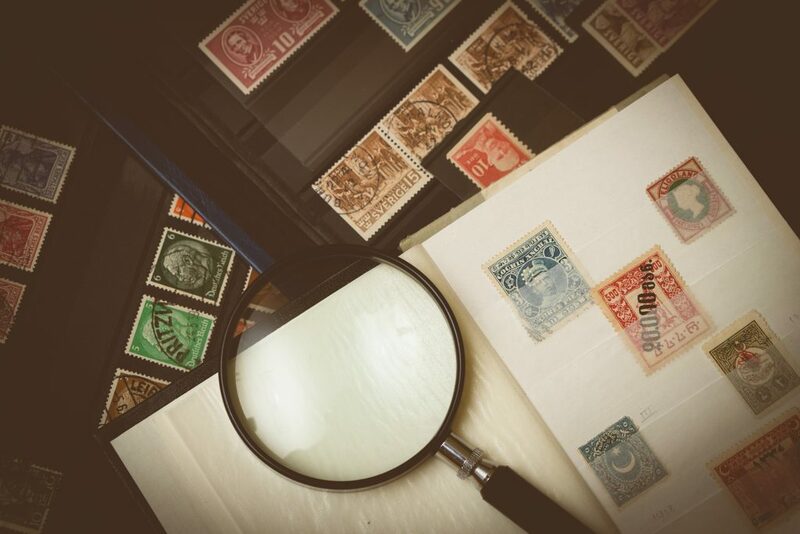 If you have an expensive antique or highly collectible collection, it’s worth getting a professional cost analysis. You’ll probably receive paperwork proving its value. Check online auction-type sites. See the going rates for similar items posted by sellers on sites like craigslist or eBay. Then decide for yourself its comparable worth. Your real estate agent tells you to make your home more presentable while it’s on the market, but you don’t have time to figure out what to keep and what to purge. Rent a storage unit to hold the bulk of your personal items until you’re ready to move into your new home. If you have time, you can use the move as an opportunity to weed out items you don’t necessarily need to hang on to. Things of sentimental value, but not essential while your home is on the market, go into storage…the rest goes away! Are You Helping a Loved One Downsize? If you’re dealing with items that have sentimental value to someone else, the situation gets a bit trickier. For example, if your aging parents are moving into a smaller home, and don’t have room for everything they’ve accumulated over their many years in the large house where you grew up, you’re likely going to have to convince them to pare down. And for your parents, that can be downright disconcerting, maybe even painful. If they are reluctant to toss anything or give anything away, consider this: Sometimes it’s easier to ask someone else (a “neutral party,” as it were) to clear out their things. Someone with no attachment can be much more objective about the value or use of family items. Let’s be honest: We all have stuff that we don’t want or need. Sure, it’s often hard to throw things away, but the process of planning for long-term storage can actually help you cut down on clutter. Before packing up for storage, get rid of as many unwanted items as possible. Keep this in mind: The smaller the unit, the lower the rent!